Having had an eye for the finer things in life from an early age, Austin went on to have his signature cardholders become bestsellers within the first year of business. His company is now going from strength to strength. When the time came for him to think about packaging, Austin knew the importance of making sure the luxury wooden boxes reflected the quality of the products going inside. Working directly with him, Progress helped create a piece that would be as much of an experience for the customer as the cardholder itself. Only 50 were produced to house the leather goods inside which retail at thousands of pounds each – highlighting just how exclusive this collection is. 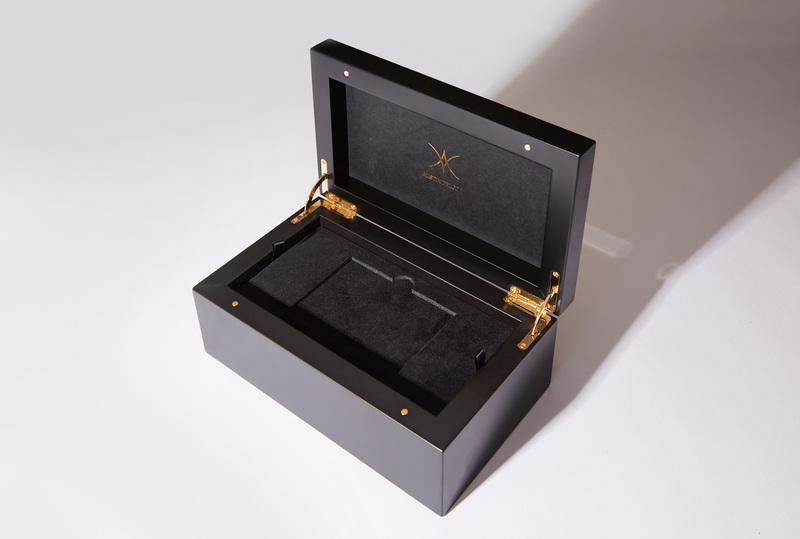 The hardwood gold wall-hinged box was made with a smooth black satin finish and then complimented with gold magnets. 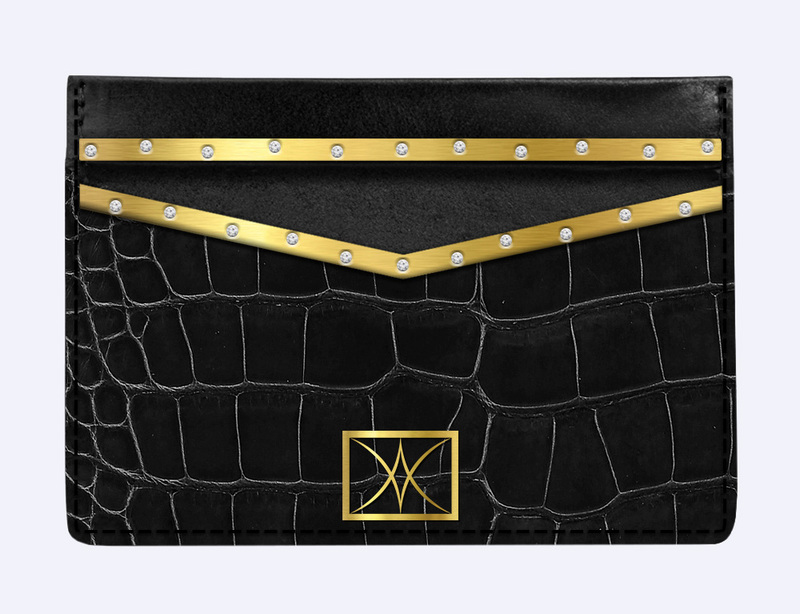 Inside, a HD foam base was inserted with a black card frame and suede textured topper. A ribbon lifter finished the inserts off beautifully. The outer lid was then screen-printed one colour and the inside foil blocked.